They're so awful, even the base doesn't like them. In other words, they don't even ring true with the loyal customers. 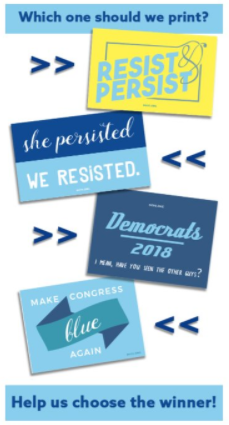 "Resist & Persist" is probably the best of them, which is sort of like saying that Des Moines is the most exciting city in Iowa. It doesn't explain what we should be resisting or why we should be persisting. "She Persisted, We Resisted" has three problems. It doesn't say who "she" is (Hillary Clinton? Elizabeth Warren? Nancy Pelosi? Beyoncé? ), the use of past tense suggests that the fight is over (and that the Democrats, apparently, lost) and we still don't know what the hell they're talking about. What did they resist? Last time I checked, nothing. "Make Congress Blue Again" isn't a goal, it's a pipe dream. 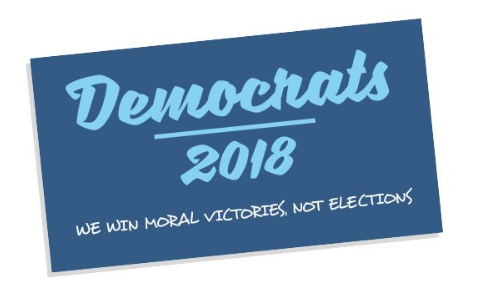 But the big flop slogan of the bunch is "Democrats 2018: I Mean, Have You Seen the Other Guys?" Yes, I have. 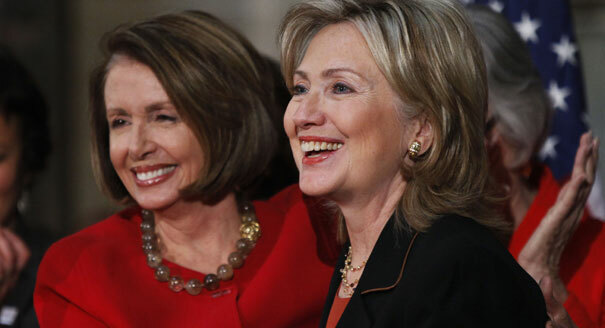 And I saw the other guys, the Republicans, laugh in your faces! Because when I saw the Republicans, they controlled the Presidency, Congress, and most of the state governments and you, the Democrats, were too busy coming up with lame, cutesy-pie slogans that don't tell us what you stand for or why we should vote for you. I will not vote Republican in 2018, but if you're going to get anyone else to vote for you, you're going to have to do better than all that. Because there are whole lot of other people who won't vote Republican but likely won't vote at all These slogans aren't going to get them tho the polls to vote Democratic. 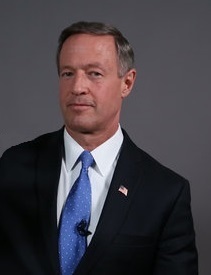 You know, I just remembered that one Democrat came up with a slogan that pretty much sums up what the party should be all about: "Rebuilding the American Dream." But Democrats won't likely use it, because it originally came from this guy! 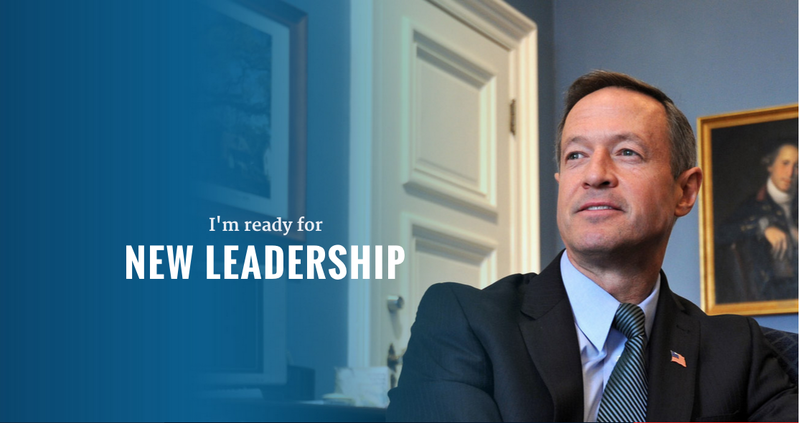 Martin O'Malley did come up with another slogan . 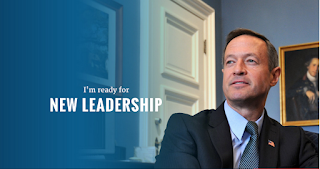 . .
. . .but "New Leadership" will never ring true as long as the Democratic Party prefers the old leadership. And we know what happened to the last party that relied on old leadership. 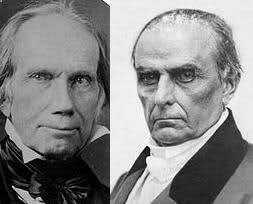 Here's a slogan: "Democrats: Continuing the Traditions of the Party of Clay and Webster."